Home » Featured » News & Updates » Spring Break Hotels: Location is Everything! Spring Break Hotels: Location is Everything! Location is Everything! And it’s never been truer when choosing your Spring Break Party destination. Save & Party. Party & Save. Either way, the best deal on the Beach. Welcome Party with FREE Pizza and Beer! We’re really happy you’re here. So happy, we’re throwing a Party just for you on arrival day! Want to stay gulf front? In a high-end condo? Doesn’t matter. We’ve got accommodations for every need, every budget. Free Keg Party Every Night! Rotating between Sharky’s and Hammerhead Fred’s you’ll get free beer each night. Plus, every Wednesday, we host the LARGEST Beach Bash featuring national acts, DJs, contests and yep, free beer! FOR SPRING BREAK EVENT TICKETS CLICK HERE! Last year we brought the hottest Country band around, Florida Georgia Line. This year, Tyler Farr is set to take the stage on March 5th. And that’s just the beginning. It’s a small price to pay to get in, but a whole lot of party before you get out. 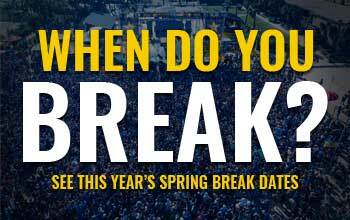 And as Spring Break approaches, we’ll have more acts ready to rock out Panama City Beach. And it can all be in your backyard! So what are you waiting for? Book now with Seahaven Beach Resorts! 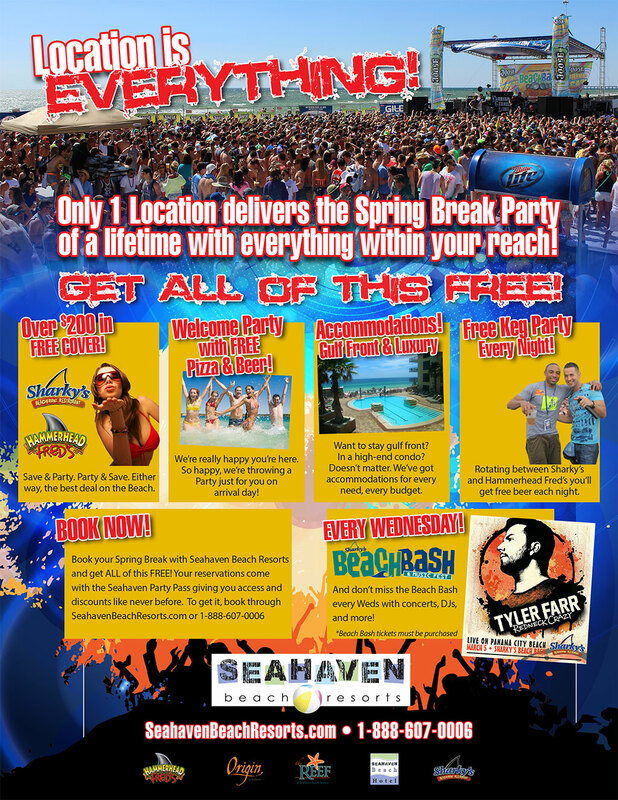 Your reservations come with the Seahaven Party Pass giving you access and discounts like never before. To get it, book through SeahavenBeachResorts.com or 1-888-607-0006.